I love this cd!! 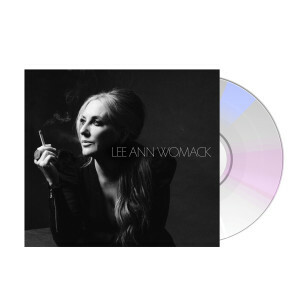 So happy Lee Ann did this album that is centered around her true strength - pure country whiskey flavored blues. Every time I listen I like it even more. She is sort of like a last woman standing in the music business, &amp; I hope she continues to do so. This may be the best music Womack has ever made which is saying a lot! Unique sound, music that sounds like a perfect mixture of past and present, creative, gutsy, and artistic, gritty but relaxing, crystal clear perfection on the vocals as always! Of course it won’t get air play because country radio has killed creativity but it should win a bunch of Grammys!! Lee Ann is a brilliant artist! Gonna have to buy another for when I wear this CD out! Just when you think Lee Ann can't out-do herself, she pulls out a no holds barred classic like The Lonely, The Lonesome, &amp; The Gone. From the first note of the ethereal All The Trouble to the train sound rhythms Take The Devil Out of Me, the listener is taken on a journey they won't soon forget. Enjoy the ride. Raw, strong, pure... wonderful. LAW distilled and poured in a crystal glass with one ice cube. Love this new cd Love my shirt LeeAnn you hit it out of the ball park. Great woman from Jacksonville Texas.